That writer’s concern is that prostate-specific antigen blood tests that signal possible cancer are known to be up to 50 percent inaccurate, yet lead to thousands and hundreds of thousands of biopsies. 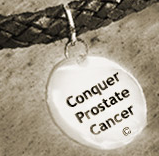 These in turn result in the discovery of various grades of prostate cancer and numerous decisions to undergo treatment. Whether the treatment modality is surgery, radiation therapy or some other option, asks the writer, don't they come with risks that are often not in the patient’s best interest? Going one step further he adds that, “No one in their right mind would actually treat for low-and intermediate-risk, localized disease”. In my view there are enough exceptions that make me wonder if a do-not-test, and do-not-treat rule can be readily justified. For instance a man in my former congregation died two weeks ago at age 103 due to advanced prostate cancer. If he had been treated at age 83 for the intermediate-risk cancer that was then diagnosed, he could have prevented his cancer from spreading, AND he would have had a better quality of life. In fact it’s likely that after his disease metastasized, most of his additional 20 years of suffering could have been avoided. Because his doctor advised against any prostate cancer treatment back in 1991, this man’s life changed…for the worse. I sure would not want that laid-back decision on MY head! Until scientists develop a more accurate biomarker to replace PSA screening, that and the digital rectal exam are the best we can do for now. Whether doctors should advise a known patient to take action or stay pat, - perhaps with active surveillance, is the only question. Even at an older age routine PSA screening, a DRE, and a biopsy may still be the best way to go. To think otherwise is to risk condemning a patient to years of pain and needless anxiety.